The job of buying restaurant equipment can truly be daunting. You could be planning to buy a refrigerator but be lost in the many variations and brands available. The budget has to be maintained and it would be easier to find a supplier whose reputation erases all doubts in your mind about the kind of mess on the internet when it comes to conmen. 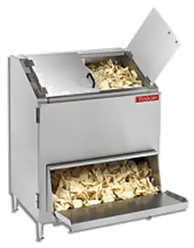 We are a company aiming to satisfy all your needs when it comes to all things restaurant equipment. If you need an oven to start up your bakery we got all the options you need to make a great decision. You do not need to search the web for a good store because we have all the things you need right here. There are so many things to consider when you think of buying equipment for your restaurant. The budget, quality and availability of the items are some of the common priorities. When you have done your research on the kind of items you want you will go out to the shop or order them online. No matter which shop you buy from there are a few constants required. This is a must for most companies that will sell their products online. A good company will offer free or discounted shipping for the items. Their transportation means will be top notch because the equipment used in a restaurant is extremely sensitive. Before choosing the company to buy from check on the shipping. Nothing is more fulfilling than having all your purchases arriving on the same day. A good restaurant equipment company will be versatile and will have all you need under one roof. Though this is not a necessity it really does help and is very convenient when all you need is in one place. This way you can shop for your ovens for baking your bread and get a few glass pieces for the bar in a go. It really helps to keep track of one order rather than a bunch of different invoices from different companies. This must be the most important thing when it comes to buying kitchen equipment. You need to buy from a supplier you trust. You must then trust them to deliver high quality products right at your doorstep. If you do not trust your supplier you will be suspect of the products that they are offering and eventually feel unsatisfied with the equipment when it arrives. Remember that equipment is meant to make the job easier not cook all the food to perfection. You cannot just pop in some ingredients and wait for a well-served and cooked meal. The effort goes both ways you can either choose to struggle buy hand whisking or buy a mixer to save on time and lessen the load. This is one of the things to keep in mind when you decide that you are off to buy some kitchen equipment. If you buy from a low quality brand expect poor results. Your restaurant equipment can only do so much. DO not resort to blaming the store owner if things go south.